Back in November, millions of Americans followed up Thanksgiving dinner with a bit of Black Friday shopping. As one might expect, this massive celebration of savings and consumerism has its own unique safety concerns. Yet this isn’t the only time people can put themselves in danger as they head to a nearby shopping center or mall. Shoppers in the final weeks leading up to Christmas will face many of the same dangers and concerns as those on Black Friday, albeit spread out over a number of consecutive days. No matter the promise of sales, safety comes first this holiday shopping season. Bring a friend: The buddy system is a popular option for a number of reasons. One, it’s a way to protect yourself from the threat of mugging or other robbery. However, there are also other, slightly more positive aspects to having your very own shopping assistant. This person can help you carry any large bags or other bulky purchases, which cuts down on the chance of injury. Plus, you can rely on them to find great deals in the mall or a prime parking spot. Reduce your baggage: No matter where you go, or how much you intend to buy, plenty of folks end up over-spending. More than harming your bank account, all this extra merchandise leaves you at risk for a back or shoulder injury and vulnerable to being mugged. That’s why it’s so important to reduce the amount of gifts you’re carrying at a single time. If need be, get someone at the store to help you bag things more efficiently. Or, spread your shopping out over enough days and you can minimize each session’s total haul. 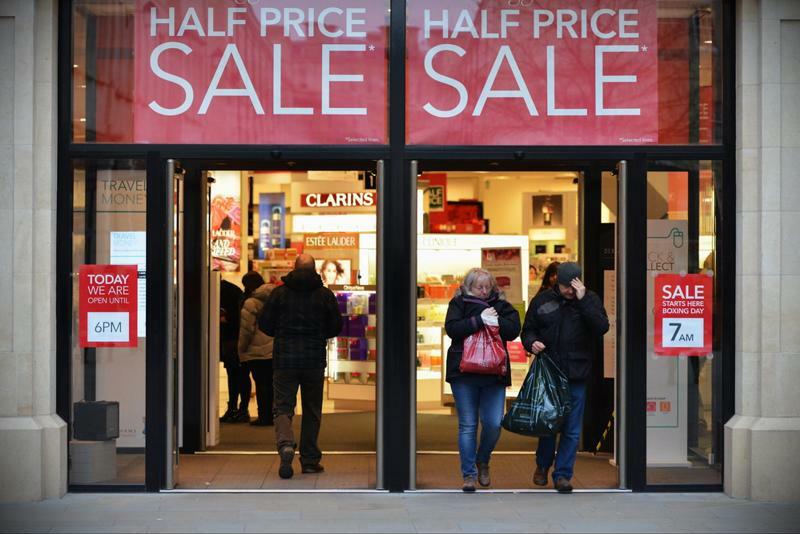 Choose your timing: Everyone has a different strategy when it comes to Christmas shopping. Some people like to do it early, even spreading the process out over several months. Others almost always leave their lists to the very last minute. But what’s the best day to go shopping to avoid hazardous crowds? That’s usually Dec. 4, according to ShopperTrak, a Chicago-based retail analytics firm. The majority of people choose either Black Friday or the Saturday before Christmas to go shopping. If nothing else, always do your shopping during the day, which cuts down on crowds and offers added visibility. Maneuver with caution: At most shopping malls, the escalator is a common choice to get between levels. However, as Parents magazine pointed out, nearly 2,000 children under the age of 5 are injured by escalators each year. To protect your child, make sure they stand still and do not sit down whenever they’re riding. If you’re pushing a younger child in a stroller, opt for the elevator instead, as most escalators prove troublesome for multi-wheeled carriers. Finally, be sure to hold your child’s hand during the entire trip up or down the escalator. If you do happen to hurt yourself during a Christmas shopping outing, your next stop should be a CareWell Urgent Care location. Located across the Eastern seaboard, each CareWell hospital employs a team of well-trained medical professionals who excel at healing most injuries and putting you back on track for a holly jolly Christmas.